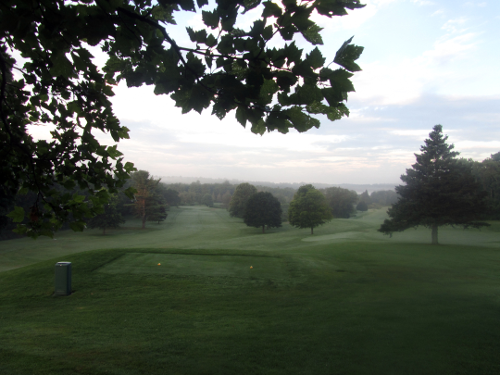 Litchfield is a highly challenging 9-hole golf course (four sets of tees for each green). From its longest tees, it offers a 5618 yard, par 70 track with course rating of 68.0 and a slope of 117. The shorter tees provide a 5243 yard, par 70 course with a rating of 70.3 and a slope of 118.5. 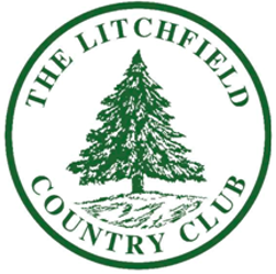 Litchfield is best known for its beautiful vistas of the White Memorial nature preserve, upon whose land the links are laid out. 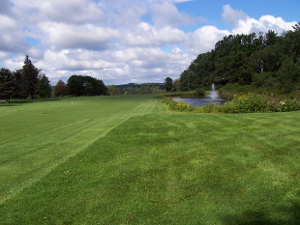 The course is also known for the meandering and beguiling Bantam River which wends its way through the course, coming into play on 6 of its 9 holes. Changing elevations make walking the course a very stimulating workout. Our membership, however, is a hardy lot and we have many walkers. Carts are never required and we have no cart minimums. Litchfield is a private golf course with an “accompanied by member” guest policy. Under limited circumstances, however, we do permit unaccompanied non-members to play the course. Contact the Golf Shop for additional details. In addition, warm relations with our neighboring private 9-hole area clubs give our members the opportunity to play at several different area clubs. Summer Season (Memorial Day weekend through Labor Day weekend). Mondays and Tuesdays, 10 am to 4 pm. Wednesday to Sunday, 8 am to 6 pm.